1. From the home page click on Team Registration button. 2. 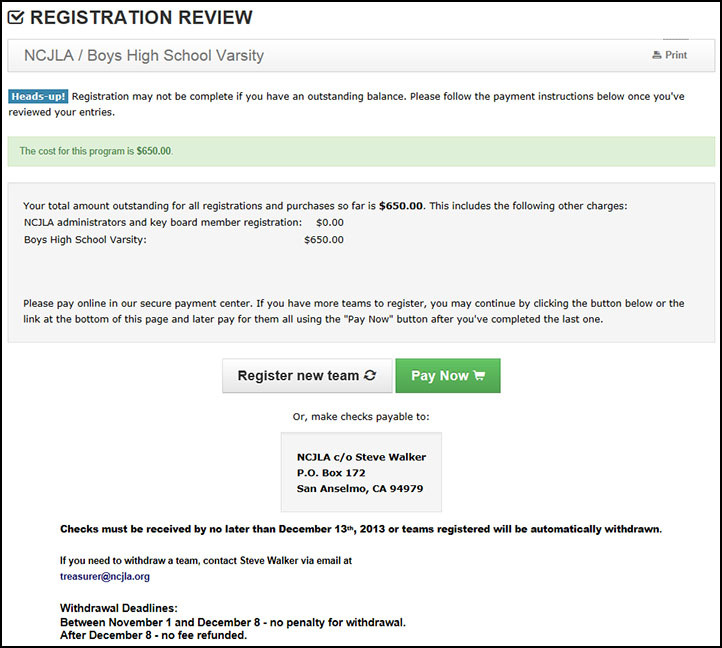 Click on the “Register” button for the first team you want to register. 3. Click “Continue” if you are over the age of 18 to proceed to the sign in page. 4. If this is your first time accessing your account, enter your email address only then click on the Submit button, you will then be sent a temporary password to that email address. If you already have your password, enter it along with your email address and click on the Submit button. 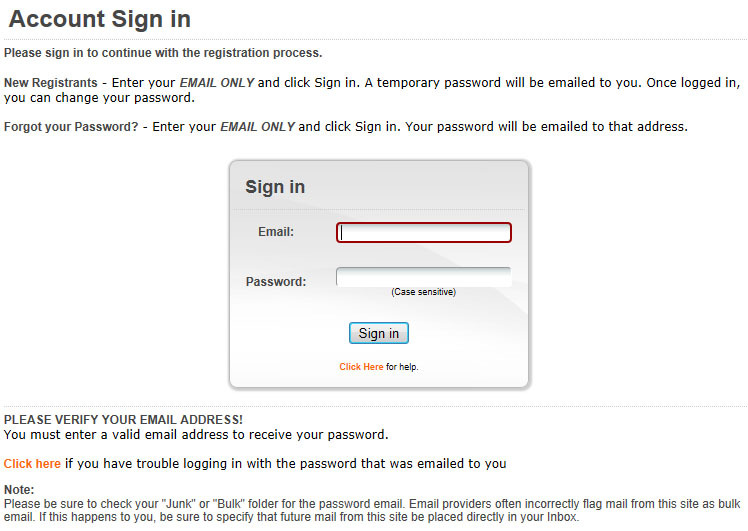 If you have forgotten your password, enter your email address only and click on the Submit button. Your password with be emailed to that address. 5. Complete all of the boxes marked with red stars. If you are also a coach, please put in your US Lacrosse number and your date of birth. Note you can put in more than one email address if each address is separated by a comma. Note that you can select one of three display options for your contact information. Private is only viewable by administrators. Roster is only viewable to team members with the team password. Public is viewable by the public. 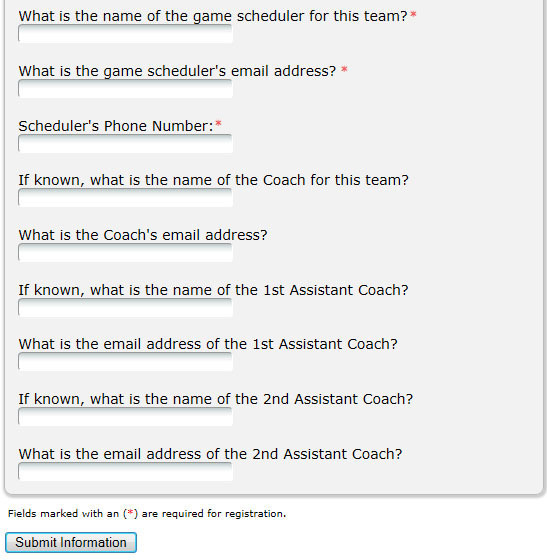 If you are the coach or assistant coach please set your email address and one phone number to "Public" so other coaches and team administrators will know how to contact you. 6a. Please read the instructions on this page carefully and complete the information for your first team. 6b. 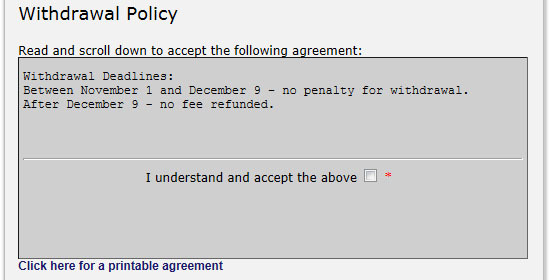 Please read the Withdrawal Policy and check the box that you understand and accept it. 6c. If known, please fill out the information below. We are asking for this information so that we can have accurate contact information for the up-coming season prior to receiving roster information. NOTE: The Scheduler's name and contact information are required so please be prepared with this information. When finished, click the Submit Information button to continue. 7. If you have registered all of your teams you can pay by credit card for all of your registrations by clicking on the Pay Now button. 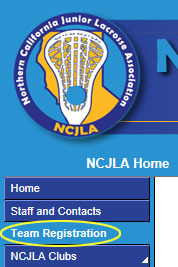 In lieu of a credit card payment the NCJLA will accept checks. Note the address and payment terms. The total amount due from your organization for all unpaid registrations appears at the top of the Registration Review page. 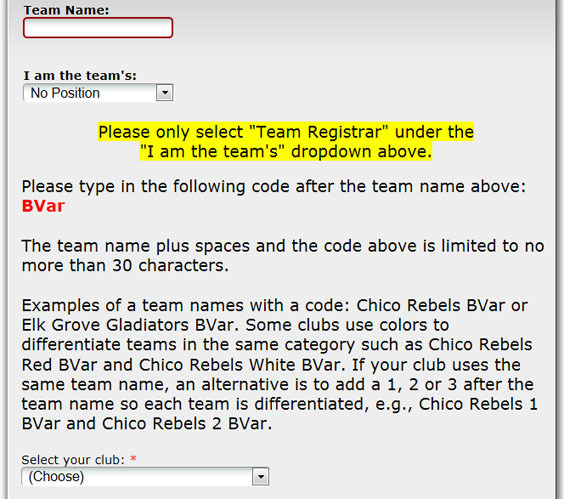 If you have additional teams to register, click on the Register Another Team button. 8. 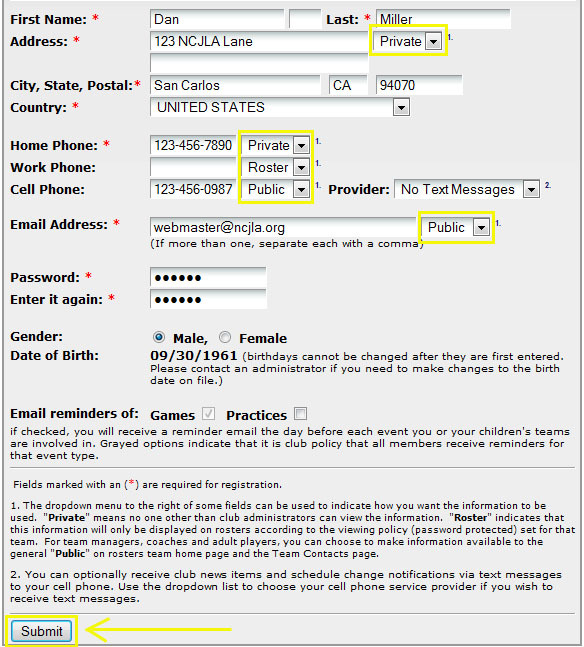 Each time a team is registered you will receive a confirmation email noting your organization’s registration of a team.